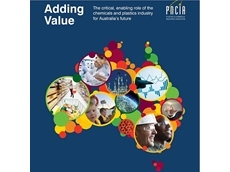 The Plastics and Chemicals Industries Association is the pre-eminent national body representing Australia's third largest manufacturing sector. PACIA members include importers and distributors, raw material suppliers and chemical manufacturers, plastics fabricators and compounders, plastics and chemicals recyclers and service providers to the sector. 09/04/15 - PACIA has welcomed the release of the Australian Government’s Energy White Paper with the proposed approach to improving access and affordability by major industrial gas users aligning with the views of the association.According to PACIA, this approach will improve access to Australian gas through increased supply, ensure competition and transparency, and encourage more flexible trading arrangements.PACIA also welcomes the news that the Australian Competition and Consumer Commission (ACCC) will review the effectiveness of competition in the gas market, which is consistent with the need for a market-based solution to the now critical issue of East Coast gas supply and to ensure proper functioning of the domestic market.According to PACIA CEO Samantha Read, a competitive, transparent and informed domestic gas market provides a robust and reliable basis for Australia to take advantage of all the opportunities for economic development facilitated by gas including energy exports, chemical feedstock use, advanced manufacturing, and commercial and residential use.The white paper has also confirmed a coordinated plan to improve gas supply by working with states and territories on better regulation and facilitation of the responsible development of unconventional gas resources. However, the report has failed to recognise the benefit derived through the transformation of gas when used as industrial feedstock.She observed that in addition to acknowledging the importance of LNG to a resources-based economy, it is also critical to harness the value of gas for an advanced manufacturing economy and meet unprecedented global and domestic growth opportunities.Describing domestic gas supply as a national issue that required coordinated leadership from state, territory and Australian governments, Ms Read added that PACIA looked forward to continuing to work with all jurisdictions on addressing the urgent challenges in gas market transformation and realising the opportunities provided by gas. 25/03/15 - Ms Samantha Read, the CEO of Australia's Plastics and Chemicals Industries Association (PACIA) highlighted the critical role of natural gas in her keynote speech at the Australian Domestic Gas Conference 2015 in Sydney.Ms Read emphasised the need for the gas debate to be more informed about all the ways gas was used in the economy, including as energy exports, chemical feedstock, industrial process energy, as well as commercial and residential energy. 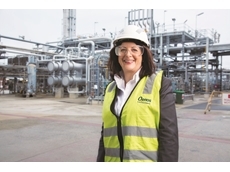 She observed that there needed to be a better understanding of the connection between natural gas, jobs and quality of life.According to Ms Read, the Australian chemistry industry adds value to 10% of the country’s domestic gas, using it as an essential and non-substitutable feedstock. This can be as high as 25% in some states such as New South Wales. She explained that natural gas as feedstock was a very different form of usage to that of energy value. The industry uses natural gas for its unique molecular properties to create, through chemistry, totally new materials and products. The products of this advanced chemistry add significant value to Australia’s resources and enable other sectors in the economy to succeed.Ms Read noted that a deep, liquid, transparent, informed and competitive domestic gas market has the potential to take Australian manufacturing into the next phase of advanced development. This translates into more jobs for more Australians, delivering higher value products into domestic and global markets.